American Harper's Bazaar gets flirty for the Spring season with a delightful portfolio of images shot by Kacper Kasprzyck featuring a spectacular cast of newcomers, established faces and supermodels. 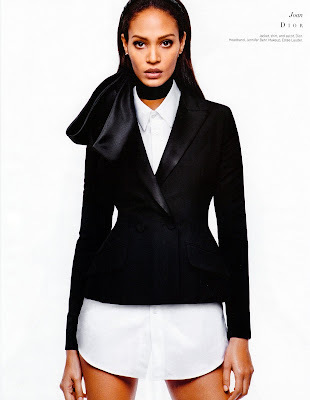 The editorial entitled "Welcome to Spring" features the most promising newcomers of the Spring/Summer 2013 collections; Yumi Lambert, Sam Rollinson, Tilda Lindstam, Ashleigh Good, and Stef Van der Laan, alongside star models Stephanie Seymour, Lara Stone, Saskia de Brauw, Sui He, and Joan Smalls. 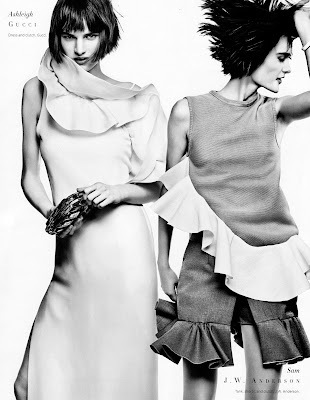 The March 2013 editorial marks the first in a collaborative series between Stephen Gan and Haprer's Bazaar Global fashion director Carine Roitfeld. 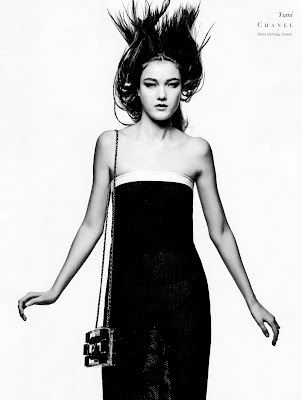 Roitfeld brings her trademark style, elegance and effortless chic to the normally staid pages of Harper's. With the element of surprise in the cast line-up, Kasprzyck's magical eye for movement and shape, Roitfeld strikes a winning combination that sets the mood perfectly for Spring.